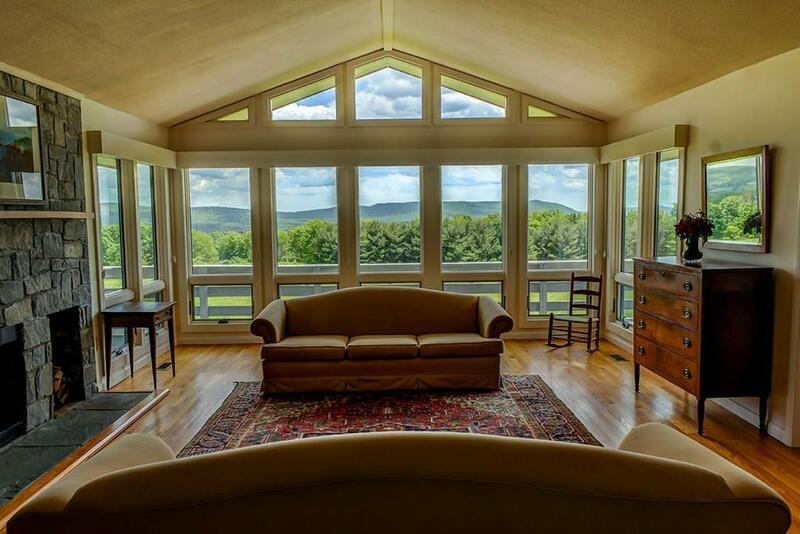 The full panorama of expansive and magnificent views is seen from nearly every room in the house. 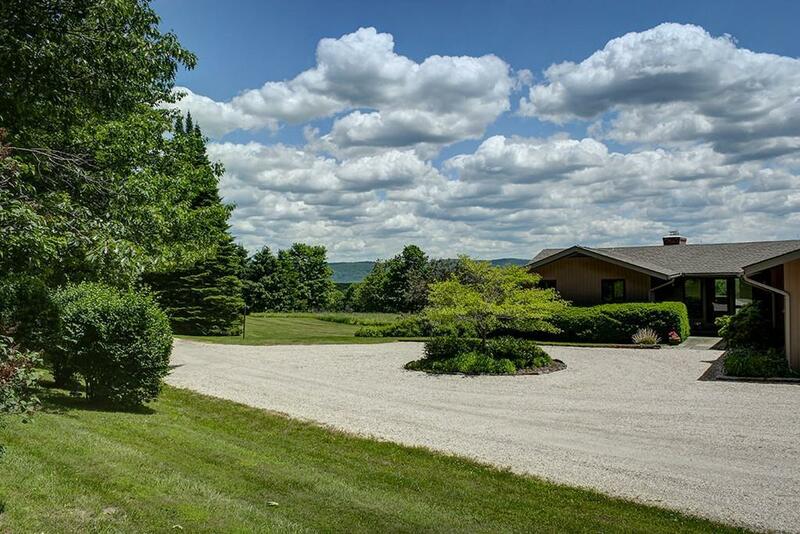 The 12+ acre lot is private and set amid open fields, sweeping lawn and extensive landscaping. 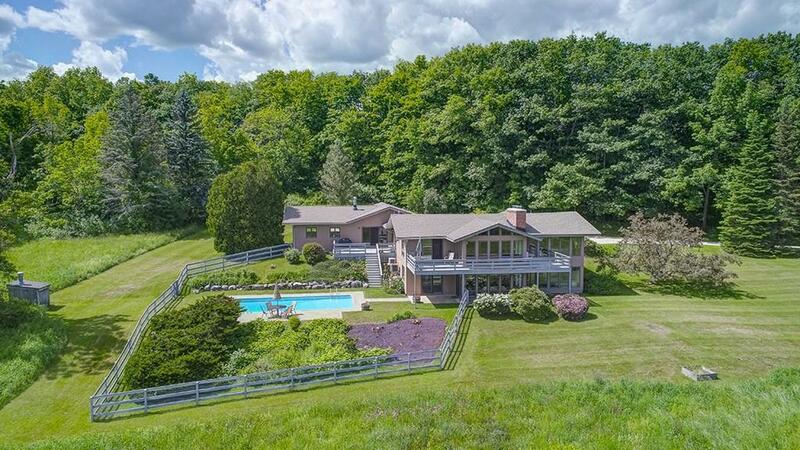 Built in the 1960's the Mid Century Modern country home is sleek w/ clean lines, cathedral ceilings and lots of natural light. The 2 levels allow for single floor living and accommodations for guests on the lower level. Large sliders and glass doors in each room open to the wrap around deck. The pool and hot tub are perfect for enjoying the view. In the winter the 3 fireplaces in the living room , den and recreation area make for cozy evenings. 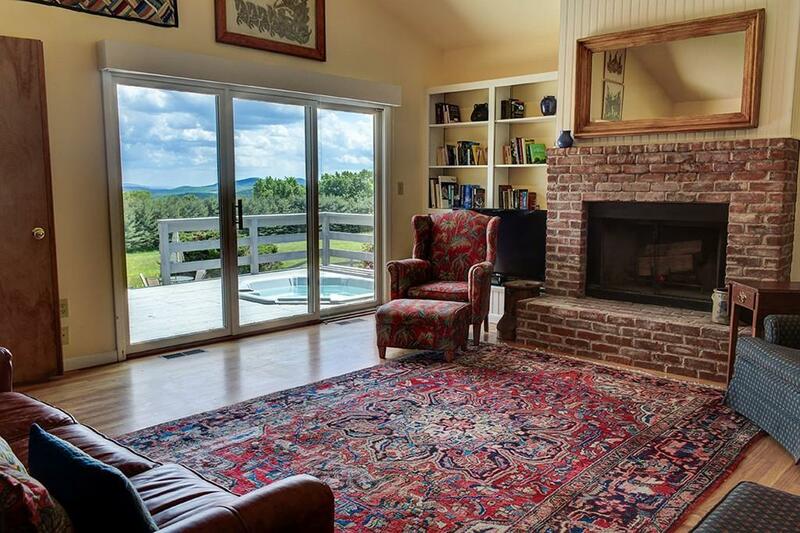 Located in the desirable town of Richmond (Lenox's country cousin) the house is only minutes over the Lenox Mtn to Tanglewood.